I only had one Integra – but it changed my life. Despite being a senior Aussie (67 now), ten years ago I had never owned a Honda before. Having owned one of the first V\Mk1 VW Golfs to arrive Down Under in 1976, I’d had some racing success with both the family hack and a club racer I built decades later. 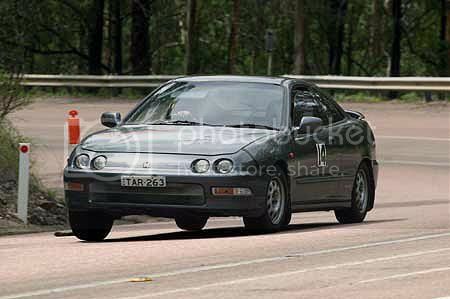 But when my kids grew up & it was time for new wheels, I somehow found the DC2 Integra, and bought a V-Tec version sold here as a V-Tir. I’d had to give up racing for 14 years due to a Sunday job, but now I was out of that and unfettered I threw myself back into it with the Integra. 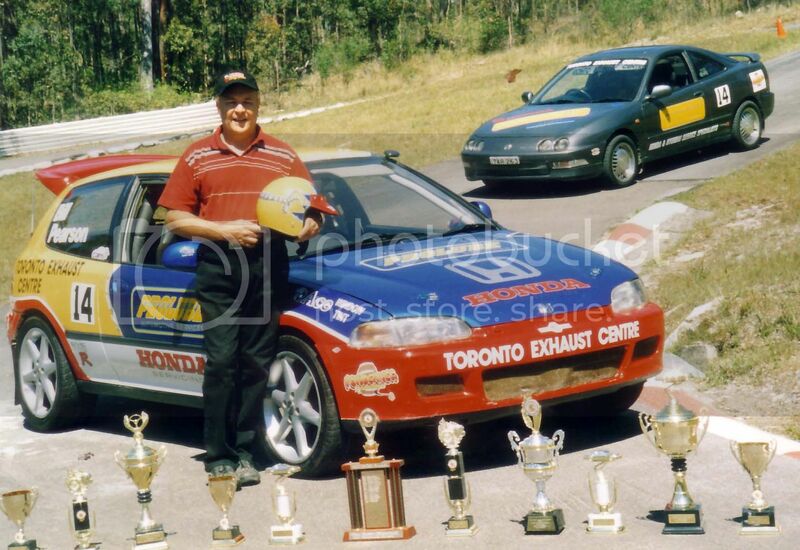 I had never driven a car that handled so well under full race conditions, and found myself unbeatable in standard production car class on the tar – setting and continually breaking hillclimb records and won many consecutive club & regional championships. It was due to the car – not me. Then I ran it in a road Touring event which included some long, winding dirt country roads. I just couldn’t believe how hard I could go and how predictably it cornered on the gravel. (As a result of this I ended up building a large number of EG Civic dirt racers for myself & friends… but that’s another story). 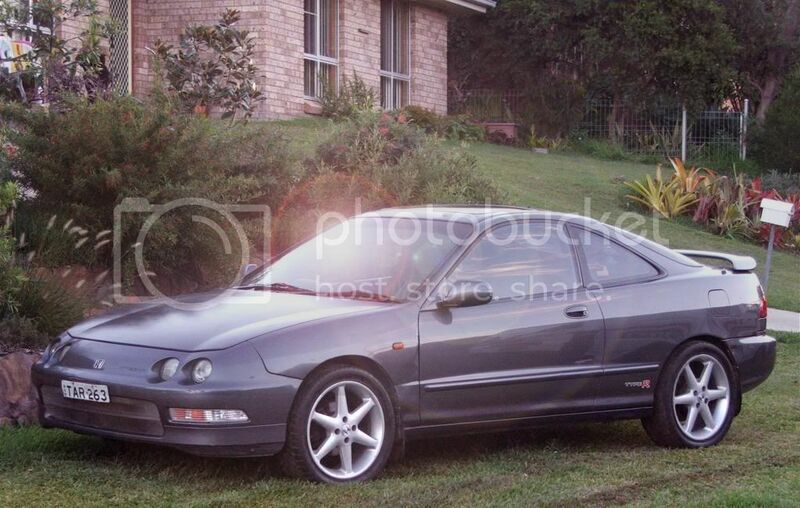 But with that dirt Civic I needed a tow car… and the only one I had (or needed), was the Integra. 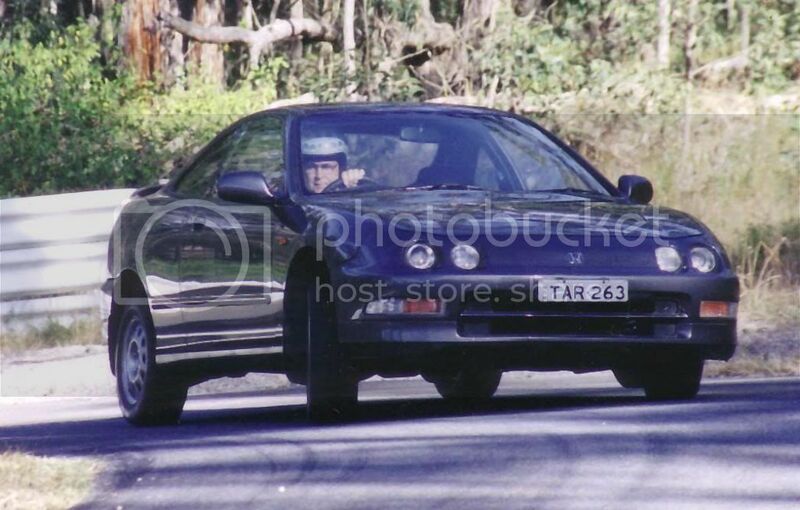 Although WAY over the legal tow limit for such a light car, the DC2 took me to every race meeting – and on a few occasions I’d run BOTH cars and then drive home. I did make one serious mistake though. 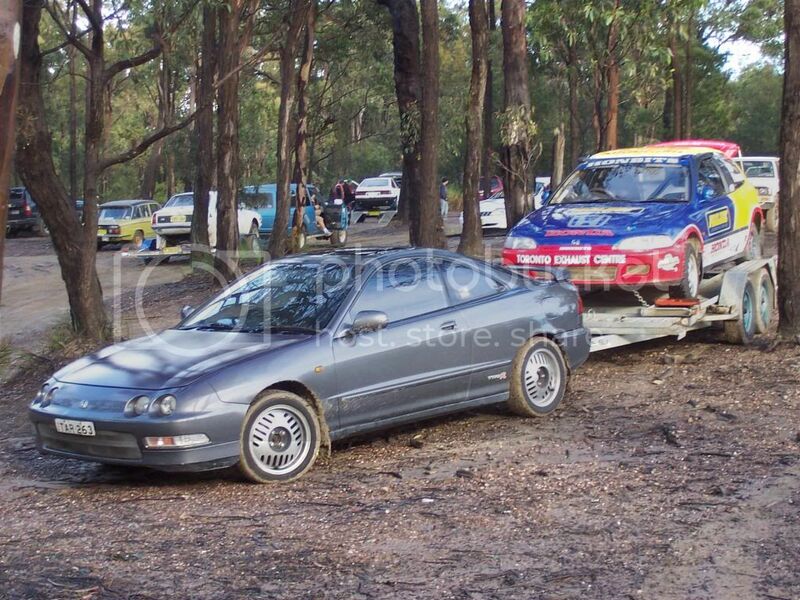 On a 2 hour trip to Sydney I bought two sets of rally tyres and had to stuff half of them into the Integra, and the rest into the rear of the Civic on the trailer. Half way back home a sudden wind gust hit me sideways on the Freeway, and around I went at 65 mph. The Integra turned 90 degrees and I braced myself for the impact with the Armco. Literally inches off it the loaded trailer pulled me backwards and I was now travelling backwards down the freeway with two huge truck/trailers coming at me. I safely pulled over onto the verge and had a long shake. Not a scratch! I had a Junior Driver Development Program going, and let my best young tyro share drives with me at a few circuit meetings. 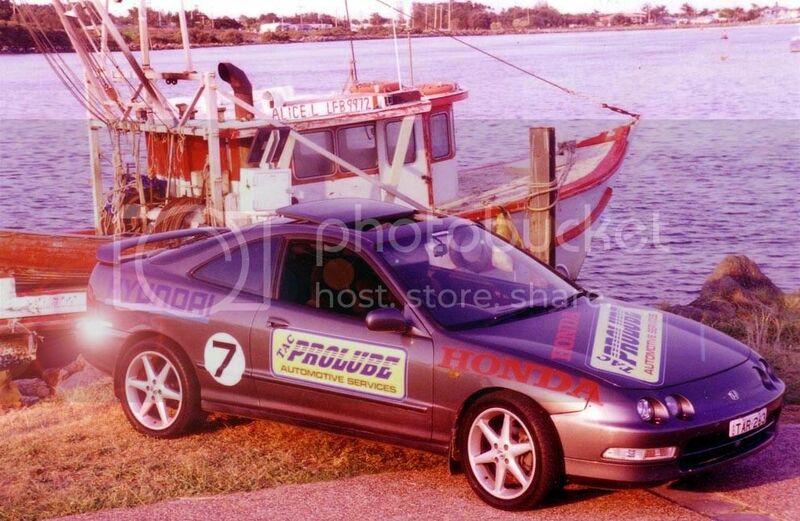 As a result the DC2 Integra became his ideal car – and a couple of years later he brought me one to swap an H22 into to make a dedicated tar/dirt club car. 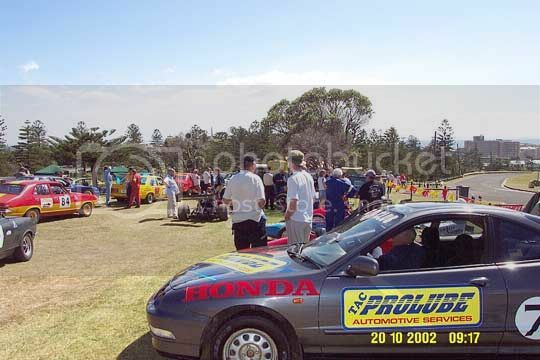 When it came time to sell my beloved Integra I had guys driving up from Sydney wanting to buy it. The grey paint had severe sunburn peeling by them – but he re-sprayed it (a hideous metallic mango color). He thought he was buying an unthrashed car of a little old grandpa who didn’t really know or appreciate what V-Tec was. Aaahh the ignorance of youth. God only knows where that car is now… but it has runs on the board and trophies in my cabinet that no-one can take away. Jeffaome, RacerXR and Wangan_Idiot like this.